Melco International Development Limited has announced that it intends to inaugurate the a casino in Cyprus, albeit not on a permanent basis. The company has had plans for opening their City of Dreams Mediterranean in 2021, which is estimated to be costing the company $648 million to construct. The Hong-Kong listed operator has plans to open the Cypriot facility in the interim, which will be set near Limassol later on in June, and will be complete with 242 slots alongside 33 gaming tables. The temporary casino is reported to be costing the firm roughly $14.13 million to constructed, and will be closed once the new City of Dreams venue opens its doors. This isn’t the first casino resort for Melco International Development, as they are also responsible for the City of Dreams Manila, Altira Macau, City of Dreams Macau, and Studio City Macau. The company won the licence for the first integrated casino resort in Cyprus last year. The facility that is currently underway will come with 500 rooms, 1200 slot machines, and 136 gaming tables, being a much larger version of the temporary casino they’re currently operating. 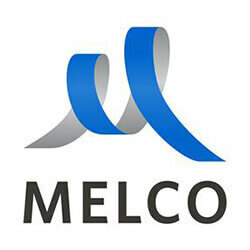 Nicos Anastasiades, Cyprus President, told reporters that the investment by companies such as Melco International Development Limited represents a step toward sustainable economic growth and prosperity for the region. He went on further to add that the project will bring a number of benefits to the economy, and will held the nation reduce its unemployment numbers.